Sometimes, you never get past the surface with what you really need to know. You could do research until you’re blue in the face but you still don’t have the answers you’re looking for. Here at Yes Loans, we’ve tried to assist by providing more detail on our answers to your frequently asked questions. How long are the average loan terms? Up to 7 years. Longer loan terms generally mean you pay more interest. We’re a broker who cares about our clients’ financial wellbeing, which is why there is a 7 year cut off. We don’t want you paying more than you have to. How long is my Yes Loans quote valid for? 30 days. The reason for this is that your financial status could change within a few weeks due to unforeseen circumstances. A quote needs to be based on your current monetary capacity. Are the loans fixed or variable interest rate loan? The interest rate is fixed for the term of the loan, so no interest rate changes. Our loan interest rates are based on the current market and will not change throughout your loan term. This is to ensure you will always be able to factor in your payments, inflation and life expenditure accordingly. How old must I be to apply for a loan? You must be at least 18 years old to apply for a loan. Before the age of 18, you are still legally considered a minor and therefore, cannot have a loan in your name. Can I obtain a loan for vehicles for business or commercial use? Yes, you can apply for a vehicle loan if it is for business or commercial use. You can even apply for a Low Doc Business Loan. This type of loan is taken under the business name and not an individual, so all the documentation we require would be on behalf of the business. 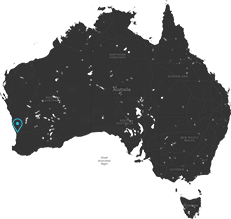 I am living in WA on an overseas visa – can I apply for a loan? Yes, but the loan term can only be for the remaining term on your visa (e.g. If the visa is for 5 years and you have already been here for 18 months, then the maximum loan term is 3 years). This is to ensure that you are legally viable to pay back the loan. Should you leave the country during your visa – you are still liable for payment. Do I need to have a deposit ready when I’m applying? Often no. A deposit may be required depending on previous credit history or the value of the goods being financed. Once you’ve applied for the loan, one of our consultants will be in contact with you to let you know whether a deposit is required and how long you have to pay it. Can Yes Loans help me get finance if I have had credit problems in the past? In many cases, Yes! At Yes Loans we are experienced at helping people with previous bad credit. You shouldn’t let bad credit put you off from applying for a loan. We work alongside our clients to ensure they are financially able to pay back loans in a reasonable time regardless of their credit rating. Get in touch with Yes Loans today for assistance in financing related queries.